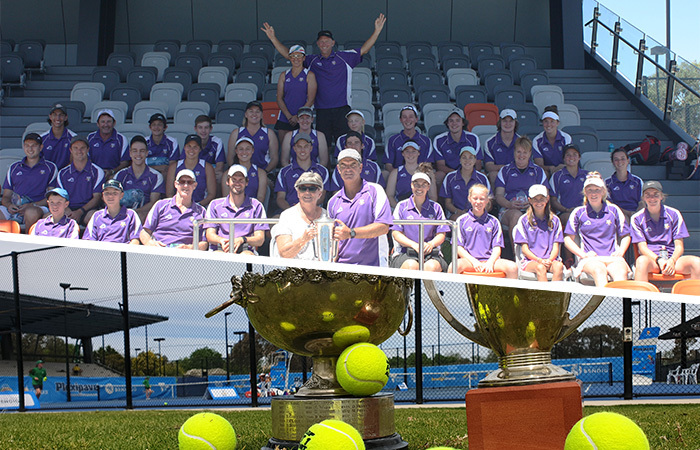 Goulburn is celebrating following their win in the 63rd Inter-regional Country Championships at the Fosterville Gold Tennis Centre in Bendigo – marking the region’s third consecutive title. Goulburn finished in top spot on 253.75 points ahead of Loddon Campaspe (221) and Barwon (220.25). The event was struck with all types of weather delays. Early starts and late finishes were needed to get through the more than 500 matches. 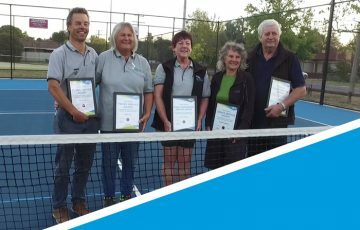 Tennis Victoria Tournaments and Events Manager, Andrew Reynolds was full of praise for Goulburn and congratulated them on their efforts. “This was just a wonderful result and we’d all like to congratulate Goulburn on their victory,” Reynolds said. “We all know what a special event this is and the high esteem it’s held in by everyone. “We would also like to thank every player and volunteer for their immeasurable work towards making this another successful Inter-regionals event. “This year was played in such good spirits and sportsmanship was very much the highlight, which was extremely pleasing,” he said. Goulburn team manager, Heather Lees, was ecstatic with the final result and couldn’t be happier for all the players. “It means a lot. Goulburn has never done it before [winning three in a row],” Lees said. Goulburn team captain, David Starling, wanted to take an opportunity to thank Lees for her outstanding contribution to the region. “Everyone who plays for Goulburn loves Heather and everyone who plays has that little bit extra to give because we love her so much,” Starling said. 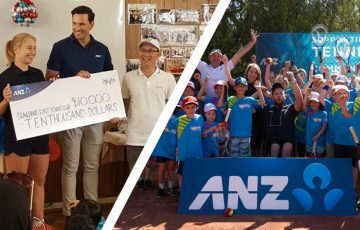 “She just encompasses what tennis is all about.”The Fosterville Gold Tennis Centre put on a stellar show with players enjoying the many initiatives on offer to them. The Open singles categories proved highly entertaining with top seeds Eliza Long (Loddon Campaspe) and Matthew Hicks (Barwon) taking out the titles. Long was pushed all the way in her quest for a fourth consecutive title against Barwon’s Nicole Mullen 6/2 3/6 10-6. The 2019 champion acknowledge her opponent’s efforts after the match. “She [Mullen] is a really great ball striker and I was thankful I got through,” Long said. “[Playing for my region] is the main drive for me, it’s a nice difference not being out there as an individual. “It’s nice to play in front of everyone I live with. Friends and family came to watch me today so I guess I’ll put this [win] at the top,” she said. 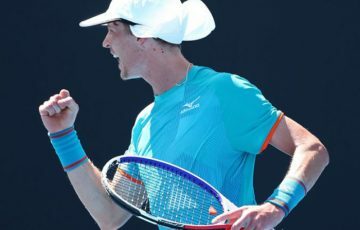 Hicks did win his final in straight sets, however, was challenged in the first set before cruising to victory 7/5 6/2. The win cemented Hick’s dominance over the category lifting his sixth (08, 14–17 and 19) trophy. “It was good to get the win, it’s always hard playing someone from the same region,” Hicks said. For the full list of results from the 63rd Inter-regional Country Championships, click here. To view the photo album of winners and runner ups, click here.